Discussion in 'Articles' started by Barnz, Oct 27, 2016. 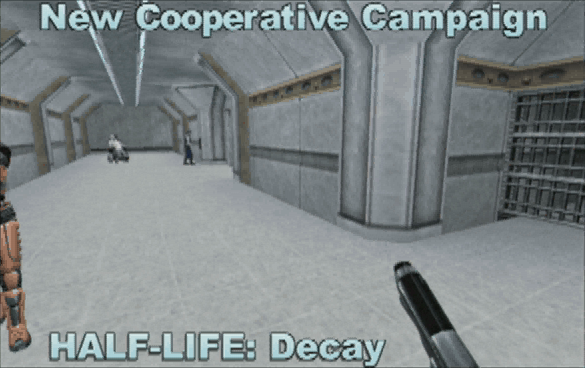 In today's article, we're going to talk about the cut missions from Half-Life: Decay. We have brand new information to reveal thanks to the assistance of several former Gearbox developers. For those of you who may not be familiar with the game, let's begin with a brief overview. 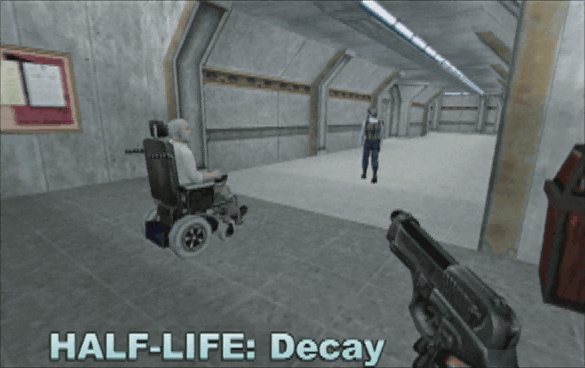 Decay is an add-on included in the PlayStation 2 port of Half-Life which was developed by Gearbox Software and published in November of 2001. 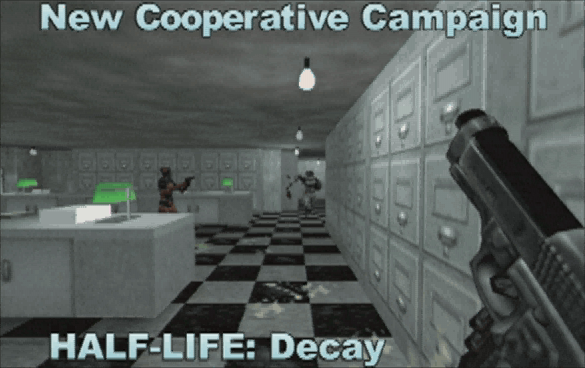 Unlike other Half-Life titles, this add-on was designed as a two-player co-operative game. The players take control of Doctors Gina Cross and Colette Green as they assist the science team in halting the alien invasion. They are required to work together to solve puzzles and progress. The game is not a continuous experience, but rather is broken up into a series of separate missions with their own objectives. In early previews, Decay was announced to feature twelve missions. However, the final game shipped with only nine, not including the bonus mission. There are 19 missions referenced in the code. These are the planned levels that were never built. According to former Gearbox designer Matthew Armstrong, Valve was working on Half-Life 2 while they were working on the PlayStation 2 port of the original Half-Life. When Gearbox began Decay, the story worked, but as Valve developed Half-Life 2, their initial story elements had to be changed. Armstrong couldn't give us all the details on how the story was altered. In the end, they had to shift their plot, and some levels had to be significantly reworked, as certain aspects of the game from their original plans were no longer suitable. He explains that this was expected and completely reasonable as things shift in development. Perhaps one of the biggest changes pertained to the identity of the wheelchair-bound scientist encountered in the campaign, Dr. Richard Keller. In the beginning, he was originally slated to be Dr. Kleiner, the professor and mentor of Gordon Freeman. 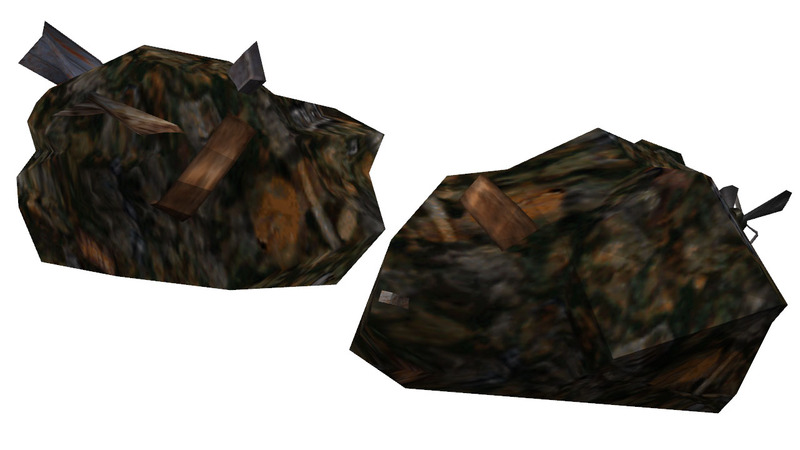 The textures for the Keller's character model even still bear the prefix "Kleiner". In a similar manner to how they utilized Gina the holographic assistant from the Hazard Course as one of their main characters for their own purposes in Decay, Gearbox wanted to try and leverage Kleiner, who until this point had only been mentioned in the original instruction manual. Valve was always supportive of the company using their characters, but this concept had to be scrapped early on as Valve had other plans for Kleiner for their own in-development Half-Life 2. Another former designer at Gearbox, David Mertz, stated that he remembers being part of some story brainstorming sessions for Decay early in its development. He says his major contribution to the product was his suggestion of putting Keller in a wheelchair to give him a bit of character. This suggestion also included the idea that Keller would get up out of his wheelchair and walk at the end, revealing that he was not what he appeared, a manipulator, a bad guy. 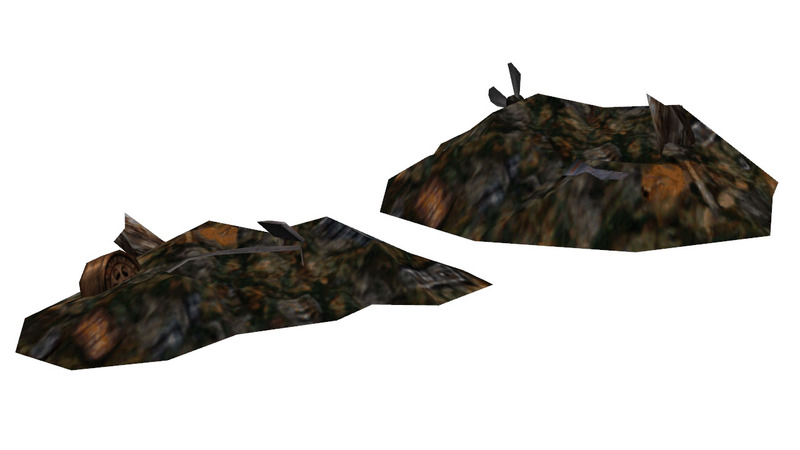 This walking animation can be found in the files of the final game. There is also an unused audio clip for Keller only present in the international releases of the game. 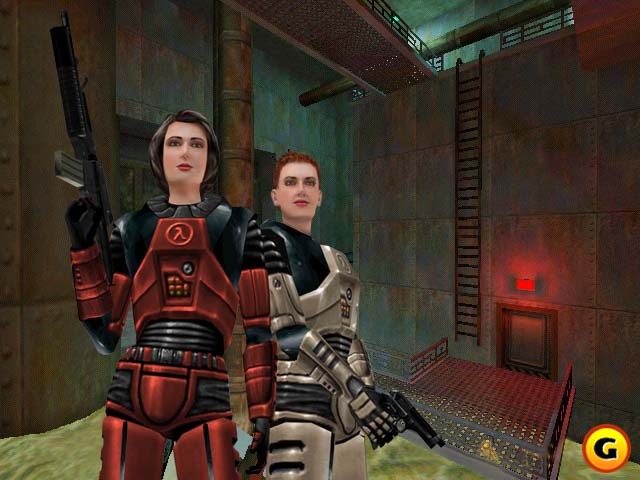 In this line of dialogue, Keller wishes the players good luck and leaves the control room of the Displacement Beacon during the final crystal insertion in the last mission. Armstrong states this line is from when Keller was still Kleiner in the storyline, but his actions no longer made sense when they changed him into a new character, leaving this part to be cut. It is implied that this incarnation of Kleiner may have had a hand in the onset of the Black Mesa incident. It should be noted that Kleiner was the one who recommended Gordon and got him hired at Black Mesa. Assuming our speculation about Kleiner is correct, Gordon may have been purposely hired to act as a scapegoat in the wake of the experiment's failure. Armstrong didn't wish to comment on the subject any further as it ties into the lore of the series. He says there is a good chance that it is completely irrelevant now, but he has no knowledge of the current state of the lore at Valve. The former Valve writer for the series, Marc Laidlaw, commented on the subject. He said they, at Valve, wouldn't have wanted the scientist who betrays the players to be Kleiner. As Gearbox had Hal Robins performing scientist voices, Laidlaw says Valve didn't want one of the scientists Robins voiced to be a betrayer at the time, since they had a sense that he was going to use the same particular character voice in Half-Life 2. Hence, Gearbox created a new character to avoid treading on the toes of characters Valve were planning to work with. The Central Transit Hub (map name ht06hub) was to be the sixth mission. It was to follow up the events of the previous mission, Domestic Violence. According to Armstrong, the idea mostly came from a desire to visit the hub which had been previously mentioned but which had otherwise gone unseen in the series. It was the least complete mission when it was cut and also the least important from a story perspective. The rescued security guard from the Level 3 Dormitories would lead the players and Dr. Keller to the Central Security Station where they can monitor transmissions, check on the transit lines, open and close all the security gates at the hub, and track the HEV Suit movement. The guard was able to open any door using his access code in the hub. A scientist from the Lambda Labs was to contact the players here and call for help. The science team wants to close the alien dimensional breach, but something is holding the rift open from the other side, preventing them from doing so. They tried to launch the Omega Satellite to get clean readings on the rift, but the military shut down the launch sequence. This is the same delivery rocket that Gordon eventually launches in the original Half-Life. While Gordon has currently been sent on his way to launch the rocket, he is unable due to the emergency shutdown in effect. 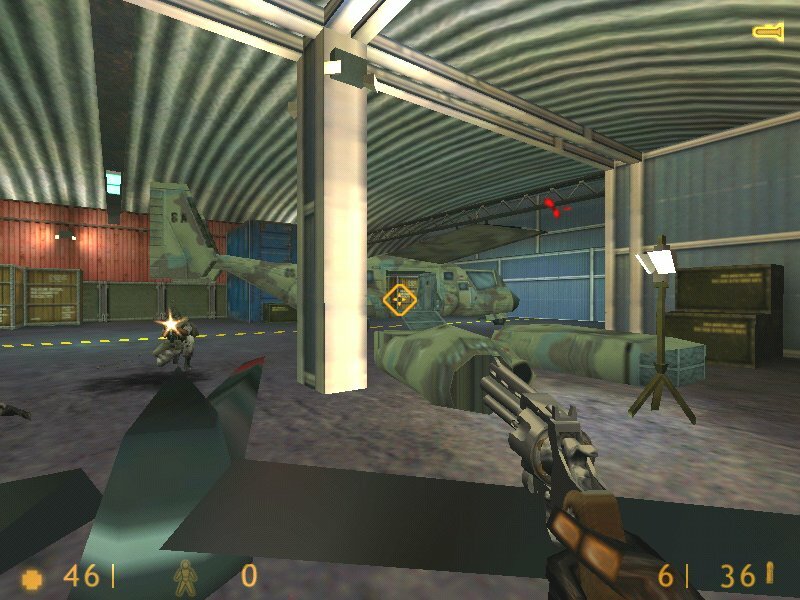 In order to override it, the players need to find the All-Clear codes and enter them into a computer at the Black Mesa Air Control building. The code is kept in the high security file room near the station, while the air traffic systems are located directly over the hub. The guard was to open all the security gates between the station and the file room on the other side of the hub. He would have to close the gates after the players go through them, so the players have to stick close together. At some point, the guard was to mention that they need to perform some repairs in order to listen in on the military's transmissions, but something is blocking the maintenance access door, so they have to take a detour through the loading dock and storage bay. They soon discover that it's a Gargantua blocking the door. The players had to work together to bring the creature to the train transfer area in the center of the hub, the major set piece ending for the level. One player would lure it onto a bridge while one operates the bridge controls to destroy it. The Gargantua has an unused animation named "squish" in which it braces for impact as the bridge mechanism starts to close in and crush it. Left: The Gargantua the players must destroy in order to progress. In the final game, the Central Transit Hub was written out of the story by recording different lines for Dr. Keller in the previous mission. Instead of looking for a guard who knows the clearance codes to the Central Security Station, Dr. Keller's dialog suggests that the rescued guard actually knows the All-Clear signal necessary to allow the satellite's launch, thus bypassing the need to acquire the code in the Central Transit Hub's file room. Left: The security guard activating a keypad. The Hangar (map name ht08hangar) was to be the eighth mission. Armstrong described it as having a straightforward focus on combat with soldiers. He remarked that he doesn't recall why it was cut. 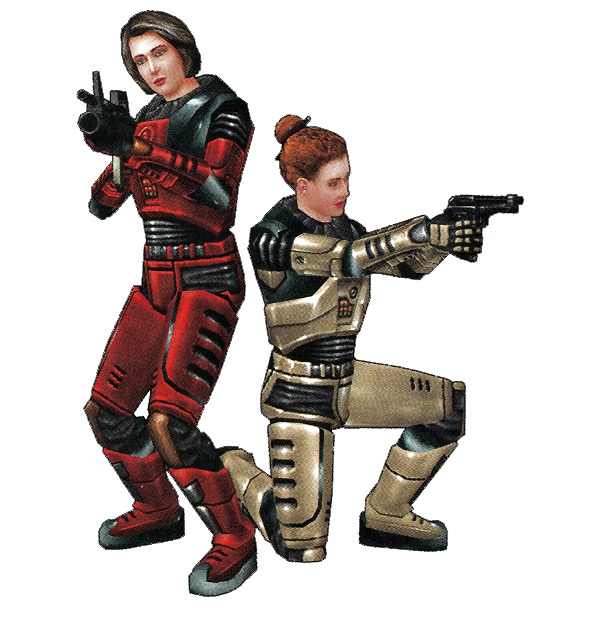 In the previous mission, Code Green, the players would overhear a Marine remarking that tracking systems were in place and that they were following Gordon's movement, foreshadowing his upcoming role in the story. After successfully uploading the All-Clear codes, the next mission would begin with the players going through the hangar seen at the airfield. There, the two would find a scientist being interrogated by Marines looking for Gina and Colette's HEV suit ID numbers so they can track those two as well, though he only knows the ID number of Gordon's suit. After being rescued, the scientist would inform them that they had to destroy the military's tracking devices in the area before they can capture Gordon. Later on, the players come across a wounded scientist hiding in a ceiling hatch. He was to tell them to take the rocket weaponry in the room to destroy the Osprey outside in order to cut off the military's reinforcements. 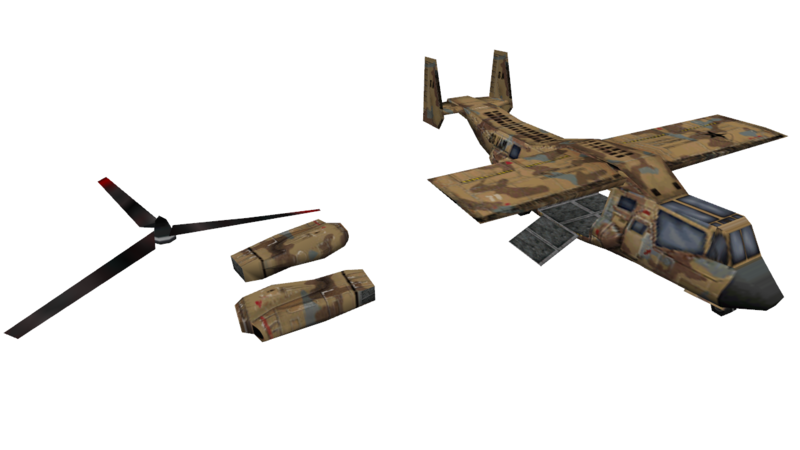 When Hangar was cut, this encounter with the Osprey was ultimately moved to the previous mission. While the title of this mission isn't known for certain, Armstrong remembers it being called "Residue Holding" or "Residue Collection", a reference to the chapter "Residue Processing" from the original game. It was to be a follow-up to "Hangar". The main goal of this section was to save Gordon from being killed after he is captured by the military. Armstrong believed this was the best of all the missions, but it was also the one impacted the most by the changes to the story. At the beginning of the mission, the players were to sneak past a Tentacle and then kill the creature by luring it into a trap. An unused animation shows the Tentacle trying to reach one of the players but ending up being crushed by something and losing its head in the process. After this point, Gordon's rescue would occur. 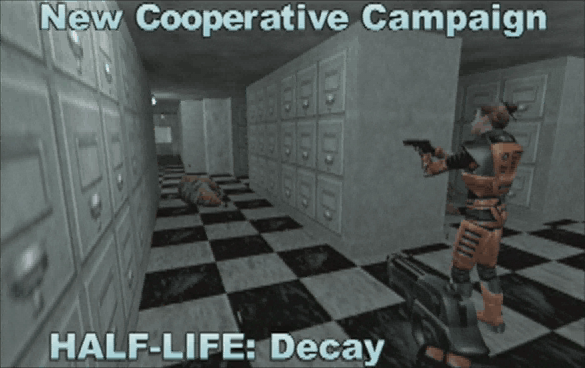 According to the unused dialog, two Marines were to celebrate the capture of Gordon and describe how they intend to shoot him before dropping his body into the trash compactor, a location seen from Gordon's perspective in the original game. The unused animations show a Marine preparing to execute an unconscious Gordon and its aftermath if the players fail to intervene in time. 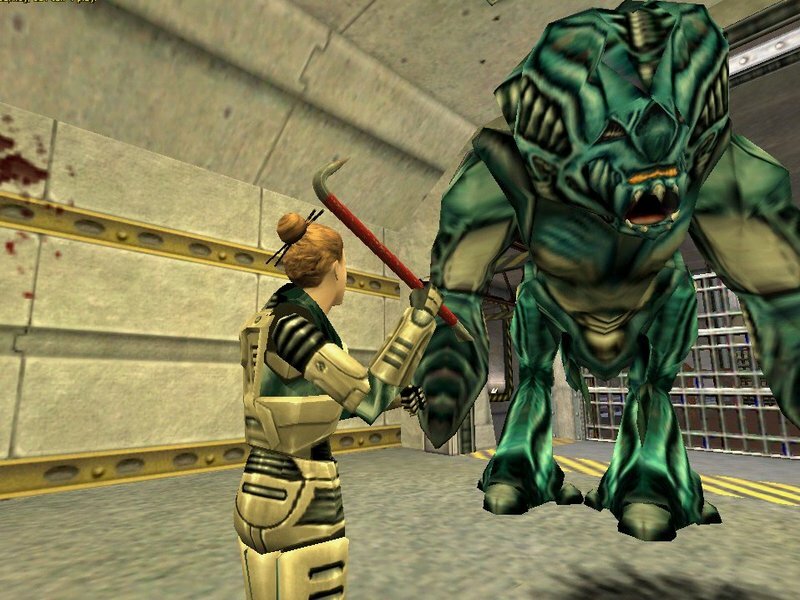 The original trash compactor level in the main Half-Life campaign in the port was updated seemingly to reflect the changes intended for this mission. As seen in the video, Gearbox added several small windows and a door to the original level. It is possible that the players were to shoot through these windows to kill the Marines and save Gordon, but could not get in the room and reach him. After this sequence, the players have go through a number of co-operative puzzles where one player is trapped in the conveyor belt of trash destruction devices while the other player has to keep "her" alive by running through the accompanying control rooms. This would lead to a helicopter fight in a scrapyard, a big crane, and then a shootout with Marines in a parking lot area. The second half of this mission was meant to be similar in tone to the chapter "Forget About Freeman!" from the original game. This section would have provided a great deal of outdoor combat, rather than the to the mostly underground fighting experienced so far, a contrast that was lost when this mission was cut. Great read! Really enjoyed the Decay campaign, one of the few co-op games I've actually played as co-op. Very interesting to see how it would have linked to the wider story if it had been left unaltered.